to help and be there for others. The problem is, life and responsibilities have taken their toll on you. You want to break away from your fear of being judged, hurt, and disappointed. You want to see beyond your frustrations. You wear your many masks perfectly, and you’re tired of it. The woman you are on the inside massively impacts how you are on the outside. If your life is to change, something within you needs to change first. Yes, I'm ready for change! You’ve asked yourself ‘why’ a multitude of times. You’ve journaled your heart out. It’s time for something that does. 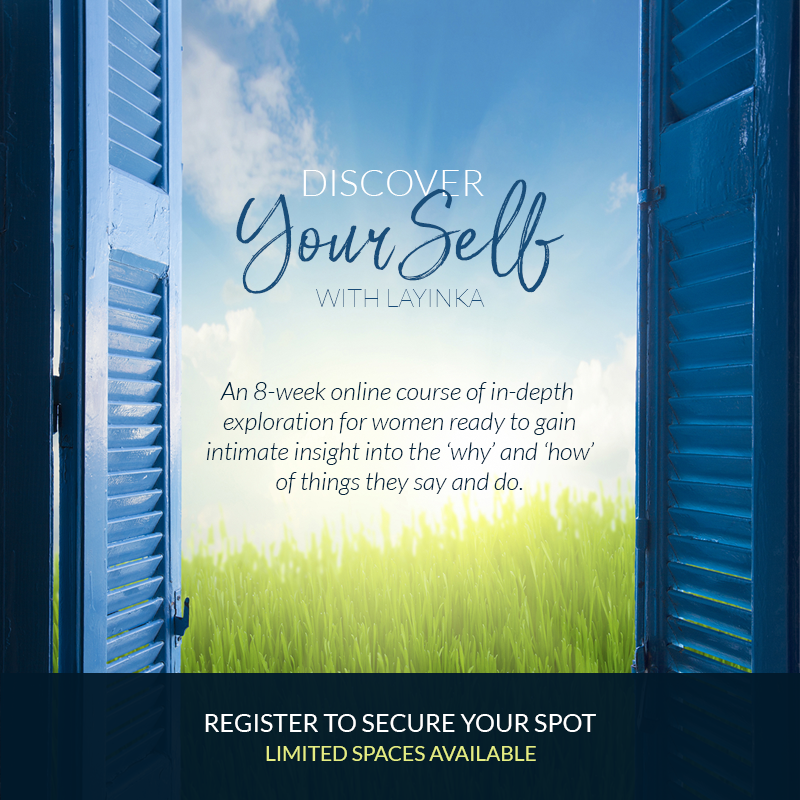 … has niggling self-doubt about who you are without your label of wife/mother/daughter etc. – understand what’s at the root of what you say and do. – embrace your truth and love to be you. – remove the masks and be your authentic self. Live with intentional purpose in pursuit of Allah’s pleasure. to discover what’s beneath your behaviour. Yes, I'm ready to discover myself! Before the course, I lacked confidence, and I learned not to worry about what people think about me, and to forgive myself and others. The course met my expectations and beyond. It’s more than getting to know yourself. It’s about getting to know how people think and function. Before the course, I felt about myself as a weak person, unable to express what I wanted or desired. I learned of a new way to talk to myself about myself and about my thoughts. I learned that I have the control of my thoughts and I can change the way or style of thoughts to become the person I would rather be. I handle my anger instead of my anger and all the feelings handling me. Before the course, I felt very low on confidence, self-esteem, frustrated, stressed, and anxious. The course helped me see I am not my thoughts. I can be better or I can stay the same. I have a choice. I am in control. The greatest insight I got is that the image of myself in my head is reflected on those around me. Ready to Discover Your Self? I’m sorry, my lovely, registration is now closed. Why not join the notification list for my future courses? Sign up below to receive notifications about forthcoming courses before anyone else does (and exclusive offers, too — yessss!). Whoo-hooo! Now it's time to check your email to confirm you want to receive notifications about forthcoming courses.